When I first started participating in therapy meetings, I thought everything was the alcoholics fault. If they would just change, then everything would just be fine and dandy. As I look back to that time… ten years ago, I see now why the wise old-timers in Al-non told me that I was the one who needed to change. After ten grueling and tiresome years, the alcoholic still has not quit and is creating all kinds of havoc. They say that insanity is doing the same things over and over again, expecting different results. That’s what I was doing prior to reaching out for help from people who understood the disease of alcoholism. They taught me a new way of living that has changed my life forever. daily reader. That was the beginning of my recovery from the effects of many alcoholics being in my life over a forty five year period. Believe it or not, once I adapted a new attitude and view on life, I actually started enjoying my life again. My days were filled with more peace, serenity and happiness and the alcoholic was still drinking every day. Even though the insanity of alcoholism was still present in my life, I was learning how to love an alcoholic without conditions. This is what happens when we start breaking the destructive patterns of reacting to an alcoholic and start responding differently. I’m not sure when the miracle happened of my outlook on life being more positive. I think it was just a progressive thing that occurred over time as I continued to participate in the Al-anon program. With every meeting I attended and with each page of literature I read, I slowly got a little healthier. Before I knew it, the compulsive anger and rage I had prior to joining the support group had dwindled to an occasional frown. Will an alcoholic ever change? I do hope the one thing you leave with is that it is your responsibility to start making a better life for yourself. If you keep doing the same things over and over, you will continue to get the same results. 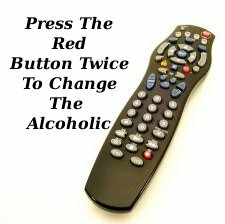 You can start the process of change today by learning more about how to cope with alcoholism.